Well done to the 19 athletes who had been selected to compete in FVL Presidents Select Match at Meadowbank Stadium in Edinburgh yesterday. This is more athletes than the club has ever previously had selected for this event and is testimony to the progress which the club and athletes have made this year. Medals were won by Cumbernauld athletes in 100m,200,800m,hurdles,long jump, shot putt javelin and relays and this reflects the range and the diversity of fine performances on the day . Full details will be posted when available. 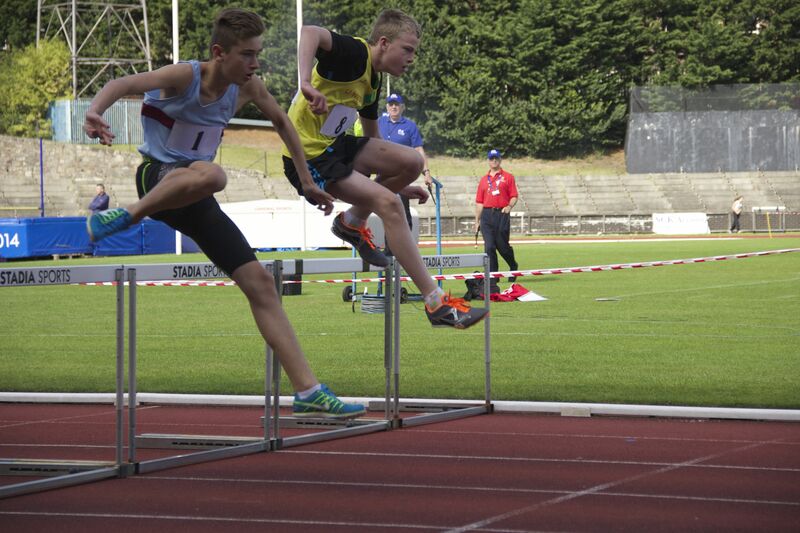 Pictured below is Jamie Tobin on his way to taking gold in the under 15 boys 80m hurdles.